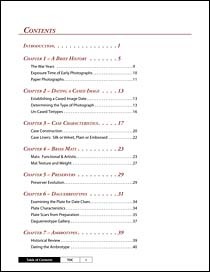 Learn about different types of cases and when they were made. 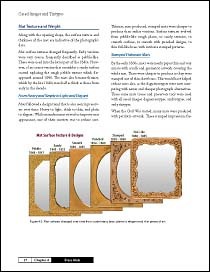 Recognize different brass mats and preservers that give the researcher many clues about the date of the cased image. 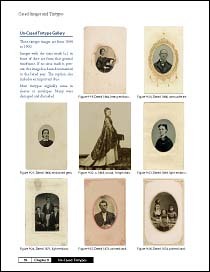 Tintypes lasted until the 20th century and beyond. There are many ways to tell when a tintype was taken. 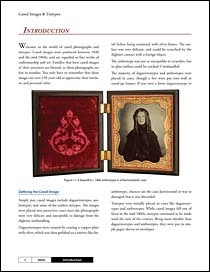 Includes a gallery of images at the end of the daguerreotype, ambrotype, cased tintype, and un-cased tintype chapters. 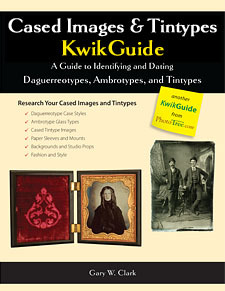 The Cased Images and Tintypes KwikGuide is a detailed and clear source of identification tips and photo dating information for daguerreotypes, ambrotypes, and tintypes. 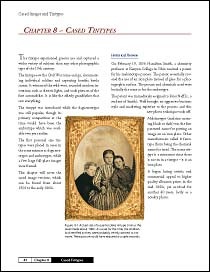 This is an indispensable reference tool for genealogists, family historians, and photo collectors who are conducting research on vintage 19th century photographs. 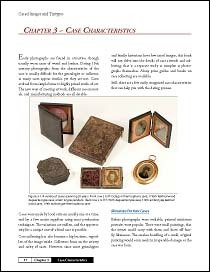 Cased images from the early 1840s to the mid-1860s are shown that provide many clues to their date or origin. Un-cased tintypes from the Civil War to the end of the century are presented along with date analysis and techniques to help determine when they were made..